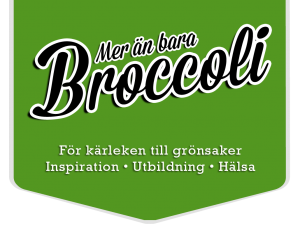 Even if I eat more than just broccoli, I really like broccoli! Especially well prepared one. 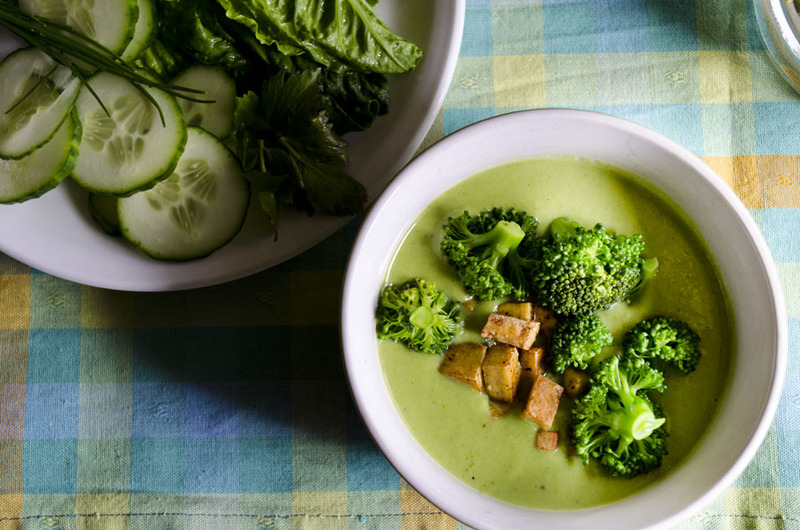 This soup is wonderfully green, creamy and full of spring feelings. Perfect to put together after a day out in the garden. Season with the herbs that you like, I used thyme but if you like anything else take it and if you want the soup more thin just add more water or milk. To top the whole soup, I made a couple of simple tofu croutons by frying tofu cubes in a hot pan and then salt them a little. Chop the onion and cut the broccoli into pieces. Fry the onion in a pan, then add the broccoli and peas and let sizzle together before adding the milk, water and spices. Let cook until the broccoli is tender, about 10 mints. 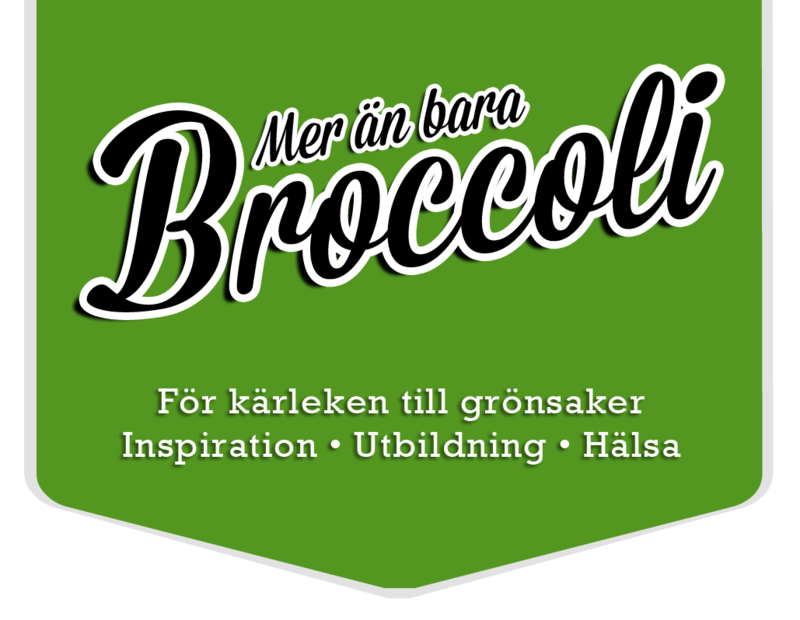 Mix the soup to make it perfectly smooth, you may want to pick out a few broccoli pieces and save for decoration. To make tofu croutons so cut tofu into small cubes and fry in a hetpanna with a little oil until golden. Salt and spice afterwards.